01 أسرار التوبة Your browser does not support the audio element. 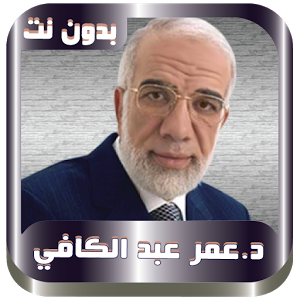 02 الّواء الشَّافى Your browser does not support the audio element. 03 ثمرات المعاصى Your browser does not support the audio element. 04 مفسدات القلوب Your browser does not support the audio element. 05 بين السَّعادة والِشَّقاوة Your browser does not support the audio element. 06 وبشِّر الصابرين Your browser does not support the audio element. 07 وصبرك إلآبالله Your browser does not support the audio element. 08 الأدب مع الله Your browser does not support the audio element. 09 أدب المخلوق مع الخالق Your browser does not support the audio element. 10 الأنس بالله Your browser does not support the audio element. 11 السَّكينة Your browser does not support the audio element. 12 الطّمأنينة Your browser does not support the audio element. 13 أثمن الأشياء - قيمة الوقت Your browser does not support the audio element. 14 التَّواضع Your browser does not support the audio element. 15 فبذلك فليفرحوا Your browser does not support the audio element. 16 المحمود والمذموم Your browser does not support the audio element. 17 حسن الخلق Your browser does not support the audio element. 18 الأخلاق الحميدة Your browser does not support the audio element. 19 أفلا تبصرون Your browser does not support the audio element. 20 هذا خلق الله Your browser does not support the audio element. 21 شكر النِّعمة Your browser does not support the audio element.